Complete Product Line. Full Service. 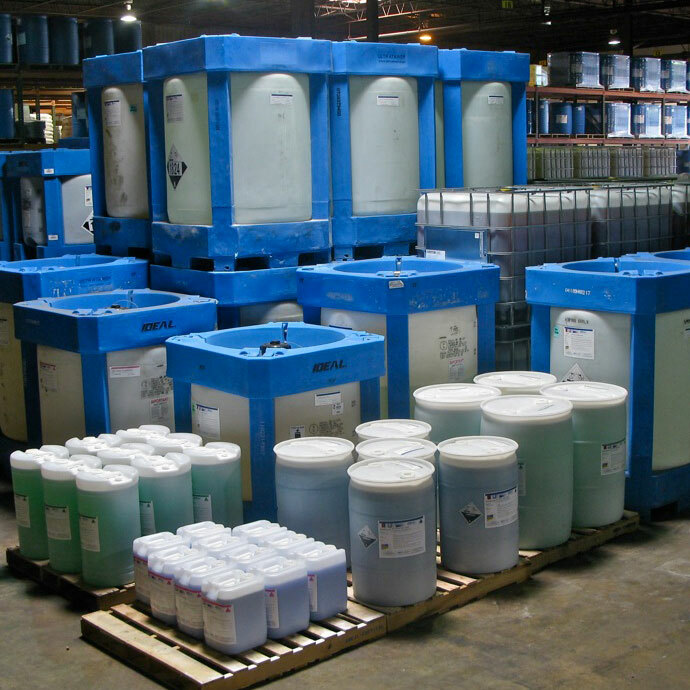 Ideal distributes more than 900 chemicals for a range of industries and applications. As a full-service chemical distributor, Ideal tests, processes, formulates, blends, packages, warehouses and delivers—to your specifications and timelines. For a list of products and suppliers, click here (PDF). Ideal is based in Memphis, Tennessee with operations in New Orleans and Shreveport, Louisiana, and Jackson, Mississippi. Our immediate geographic range includes Tennessee, Mississippi, Louisiana, Arkansas, Alabama, and East Texas. Ideal can extend service coast-to-coast via Omni-Chem136, our network of independent distributors with 105 facilities throughout North America and South America. Ideal is capable of multiple-product deliveries. We have stainless steel blend tanks, mounted on load cells, for batches up to 6,000 gallons, with 1.7 million gallons of liquid storage capacity. 170,000 square feet of warehouse space. Ideal’s tracking software and human checkpoints ensure accuracy during the order fulfillment process. We double check orders at the warehouse, loading dock, and on our drivers’ trucks to make sure we get it right the first time. We practice product stewardship and responsible distribution in every phase of chemical storage, handling, transportation, and disposal.